Wanting insulated siding but in a color or profile not available in CedarBoards? Our hybrid insulated siding turns Certainteed Monogram into durable, energy efficient insulated siding. Gain access to Certainteed’s full color spectrum with this great alternative to traditional insulated siding. 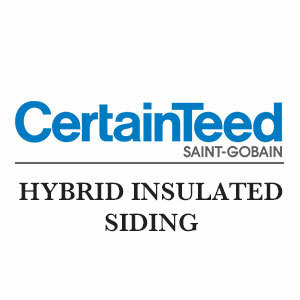 We carry a full line of CertainTeed Hybrid Insulated Siding in Monogram Double 4, Double 5 and Double 5 Dutchlap.